Love the pics when they have food all over their face. She is beautiful. Today is her first day at Day Care and has already made a friend. I will be keeping her only on Monday and Tuesday starting this week.. I love keeping her! 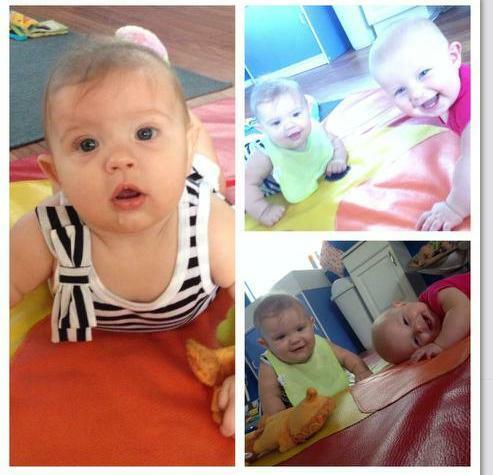 She is doing great at day care however, she loves playing with the other babies. That is the best of both worlds then.